HOME > ENTERTAINMENT > Jaden Smith wants to become a K-Pop star; Collaboration with G-Dragon in the works? Jaden Smith wants to become a K-Pop star; Collaboration with G-Dragon in the works? 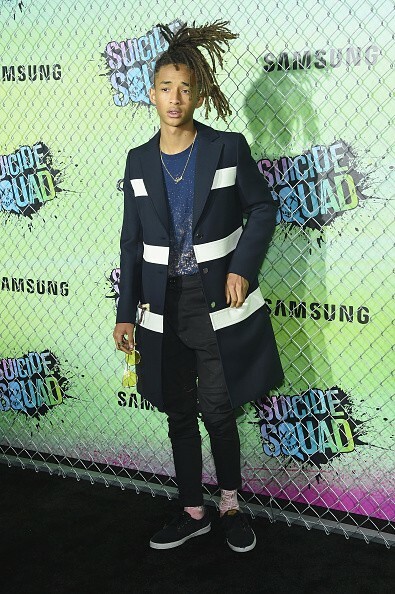 Jaden Smith is one of the hottest young stars in Hollywood. He's got blockbuster movies under his belt, but there is one more thing he wants to pursue: become a K-Pop star. The eldest son of Will Smith and Jada Pinkett Smith recently expressed his desire to become an idol on Twitter. Jaden tweeted that he wants to become a K-Pop star. According to allkpop, he followed it up with a tweet saying "I'm Serious I Actually Wanna Be A K Pop Star [sic]." It appears that the 18-year-old is dead serious about taking part in the Hallyu wave. Jaden's adoration for K-Pop is not unknown. Earlier this month, he showed love for BIGBANG leader G-Dragon, saying that he is his inspiration. In reply to his tweet, G-Dragon said that it is always good seeing Jaden, and hinted that they should "do something." Furthermore, the Smiths are friends with YG Entertainment's Yang Hyun Suk. In 2013, Jaden and his dad visited the YG Entertainment headquarters in Seoul, South Korea. During their visit, the father and son tandem met with Yang as well as YG Entertainment artists G-Dragon, CL, T.O.P, Taeyang and producers Teddy and Choice 37. They took group and individual photos, while Will and Yang also exchanged contact details, MWave reported. The Smiths' visit to the YG headquarters would not have been complete without a stopover to the famous YG Entertainment cafeteria. There, the "After Earth" stars enjoyed freshly cooked bibimbap and bulgogi. The world-class cafeteria has served a number of A-list stars, including producer Quincy Jones and pop icon Justin Bieber. Will's appreciation of YG Entertainment did not end with their visit. A year later in 2014, the Smith patriarch gave a shout out to the agency while promoting "Focus" with co-star Margot Robbie. He stated that the South Korean entertainment agency is "really amazing" and has "beautiful things going on over there." Collaborating with G-Dragon would be a great way to kickoff Jaden's K-Pop career. Given that they are good pals and appear to have the same taste in music and fashion, a Jaden Smith and G-Dragon collaboration would definitely be a hit.